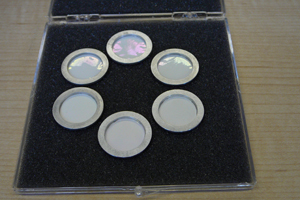 MICROMATTER diamond-like carbon (DLC) foils are manufactured using a proprietary laser plasma ablation process. An intense laser beam is used to evaporate carbon from a graphitic sputter target. 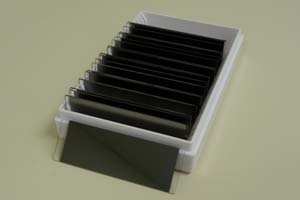 In the process, the graphite structure of the source material is converted into nano-particles. Today, leading institutions in over 50 countries use MICROMATTER standards to calibrate their X-ray fluorescence (XRF) systems. MICROMATTER standards are most often used for instrument calibration and quality control in the fields of air pollution and thin coatings. We manufacture high accuracy reference standards capable of calibrating virtually any XRF coating thickness and composition analysis system. Our ISO certified laboratory, Calmetrics Inc. offers the world`s largest selection of certified coating reference standards. 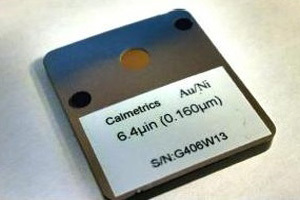 MICROMATTER offers custom accelerator targets for nuclear physics experiments. 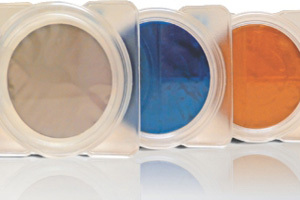 Thin film targets are manufactured on carbon backings or customer supplied supports; alternatively, self-supporting targets can be produced depending on the required size and thickness. Please contact us for further information.